I was just on Twitter. I can't lie, I didn't know the car and bike show was today. I might have to show up. If only just to support DTLR. They're amazing and their booth is one in the same. 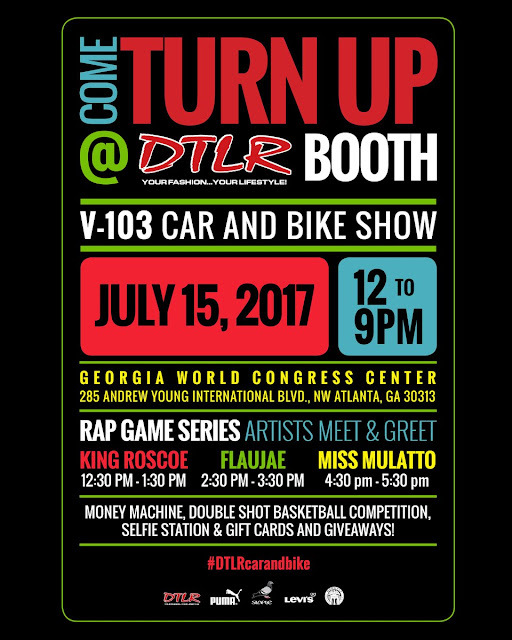 Money machine, Selfie station, and giveaways, You can also meet the kids from the 'Rap Game'. I know y'all just wanna take them selfies tho. Get them shoots off.